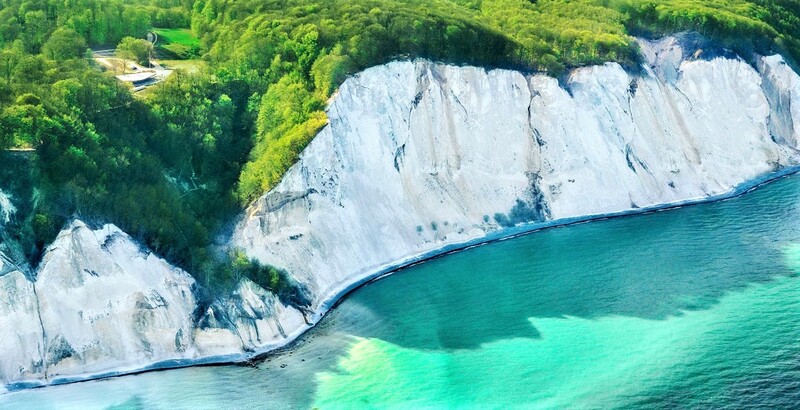 Towering sharply over the Baltic Sea are the chalk white cliffs of Møns Klint in the island of Møn, eastern Denmark. These striking light slopes rise at 128 meters high and stretch as far as 7 kilometers across, going northward from Mon’s lighthouse to Liselund Castle Park. Formed thousands of years ago, Møns Klint is composed of calcareous deposits of ancient coccoliths (microscopic marine creatures) which were compacted against ice by moving glaciers, forming sharp hills and folds. When the ice melted after the Ice Age, the cliffs emerged. Even today, fossils of urchins, octopuses, and mussels can still be found on the chalk walls. Surrounded by woodlands, pastures, ponds, and steep hills, the cliffs are famous as a vacation spot, attracting over 250,000 visitors each year. 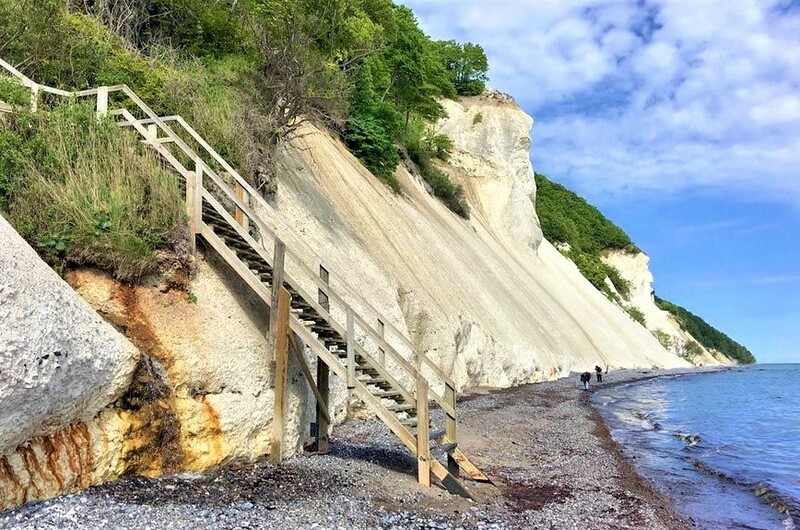 Its cliff tops offer amazing views of the Baltic Sea, while the nearby Aborrebjerg Hill, one of the highest points in Denmark, provides an even more breathtaking view of the Danish countryside. In 2007, the GeoCenter Møns Klint opened as an interactive geological museum that traces the prehistory of Denmark’s geology, including the formation of the chalk cliffs. Besides the museum, Møns Klint is well-provided with restaurants, souvenir shops, and picnic grounds for its regular flow of tourists.